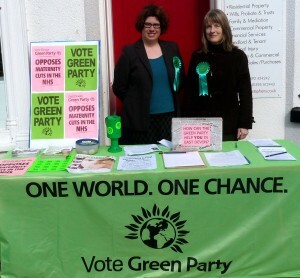 Quick Reminder – Green Party Stall in Budeligh Salterton THIS Saturday morning – 3rd April. Please come along and support us. We’re meeting at 10am opposite the old Threshers shop Budleigh Wines. Forecast is rain so don’t forget your umbrella. Wed 14th April – ‘Any Questions’ in Sidmouth 7.20pm All Saints Hall. Please see http://bit.ly/dxmyPj for more details.